Fireflies, which are more accurately called fire or lightning beetles, are not flies at all. These insects belong to the same family as beetles and live throughout the United States. Taking children out to catch fireflies is an excellent way to teach them about nature, and how to treat the fragile insects. 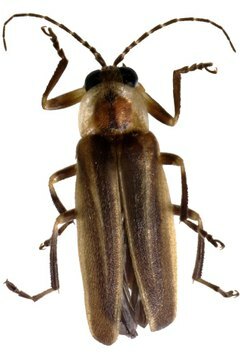 Properly catching and housing a firefly for an appropriate amount of time will ensure that the animal is observed without causing it any harm. Prepare the habitat for the firefly before you go hunting for them. Clean out the inside of a large mason jar with soapy water. Rinse and dry the jar with a kitchen towel. Set a damp piece of paper towel on the bottom of the jar to generate moisture, which the firefly will need to survive. Fill the jar with small twigs, branches and pieces of grass. These will provide a more natural habitat for the firefly. Search for the fireflies at night near lakes, rivers, ponds and streams. Check areas that have high grass or marshy, humid places. Look under logs and bring a flashlight to help you find your way. Catch the firefly with a small net. Avoid attempting to catch the firefly with hands, as you may crush the fragile beetle. Place the firefly into the jar as quickly as possible. Place a piece of wire mesh over the jar to ensure that it does not escape, but does receive ample air. Provide the firefly with sustenance by setting a small bowl filled with sugar water inside the jar. Release the firefly during the night after keeping it no more than two days. This will ensure that the firefly does not die while in captivity.